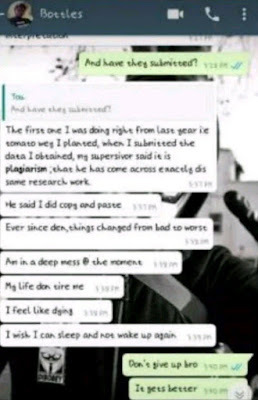 A student of the University of Ilorin, UNILORIN, has allegedly committed suicide after he was asked to carry over his project again. Adigun Olawale Emmanuel, 27, reportedly committed suicide at Oke Odo Area of Ilorin, Kwara State after he was made to repeat his final year project again after he failed it for the second time. 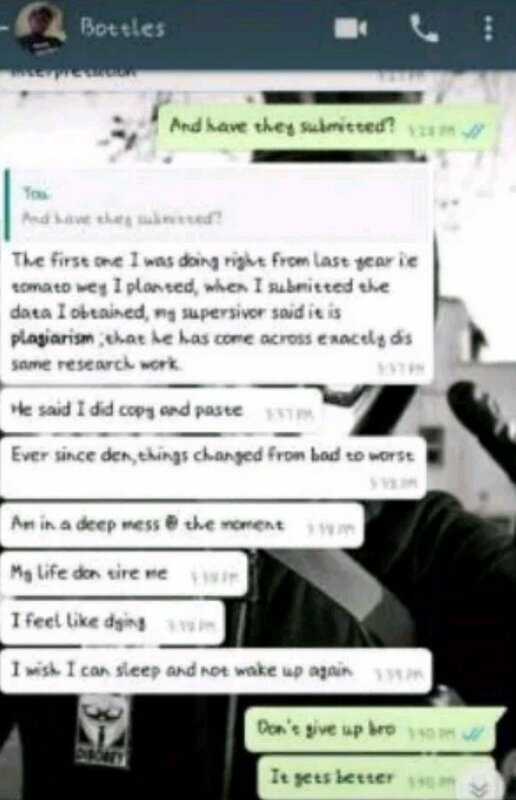 According to reports on social media, he lamented that he had been accused of plagiarizing his project work. As a result, he wasn’t allowed to graduate with his mates. 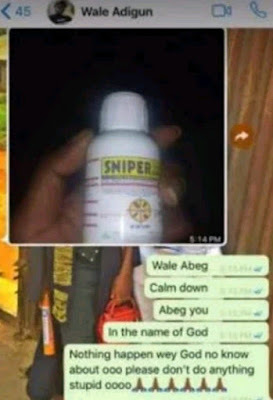 This led him into depression and he allegedly locked himself in his room on Thursday, 29th of November, and drank a pesticide called Sniper. His body was discovered after some people went into his room on Saturday, December 1st to investigate the bad smell coming from there. When neighbours got into his room, they discovered his swollen dead body laying on the floor. Adigun was a student of faculty of Agriculture. Social media users claim he had allegedly attempted suicide before but this has not been verified. 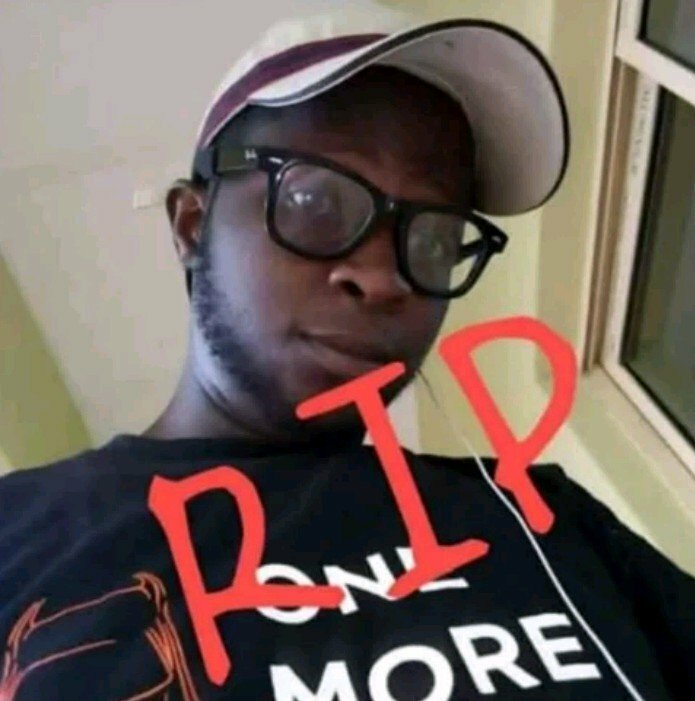 The Management of University of Ilorin has visited the hostel in Oko Oba where the student committed suicide and they have also contacted Adigun’s Parents.